Summary: Though no car accident is simple, ones that involve pre-existing conditions are especially complex. When people think about a typical car accident injury, they may assume that both of the parties involved are in good health. That means that if one of them sustains an injury, it is 100% the fault of the accident. This is a simple, hypothetical scenario. In reality, perfect health is often not the case. Instead, people who get into car accident frequently have pre-existing health issues that can make them more vulnerable to injury. When this is the case, car accident claims get significantly more complicated, and it is a good idea to speak with a St. Louis car accident lawyer. While your lawyer will provide you with all of the legal advice you need, it is a smart decision to educate yourself too. You can do so by reading the basics below. The most common pre-existing conditions that affect car accident injuries are concussions, arthritis, hernias, formerly broken bones, herniated discs, and back strains. As you might imagine, if a driver has one of these conditions before their accident, they are much more vulnerable to severe injury. This can be easily understood by going through a few of the conditions listed above. If you have sustained a concussion in the past, you are more likely to get a concussion in the future. So, when you get into a car accident, you are at a higher risk of head injury than somebody who has never had a concussion. Another example is having a bone that was broken in the past. That bone might be weaker than the average bone, and thus prone to break again. If you report an injury after your car accident, one thing that an insurance company might try to do is claim that you had that injury before the crash ever happened. Even if they don’t do that, deciding exactly how much your health has suffered is a difficult process. When you have pre-existing issues, it is not obvious how much effect an accident has had on your injuries. 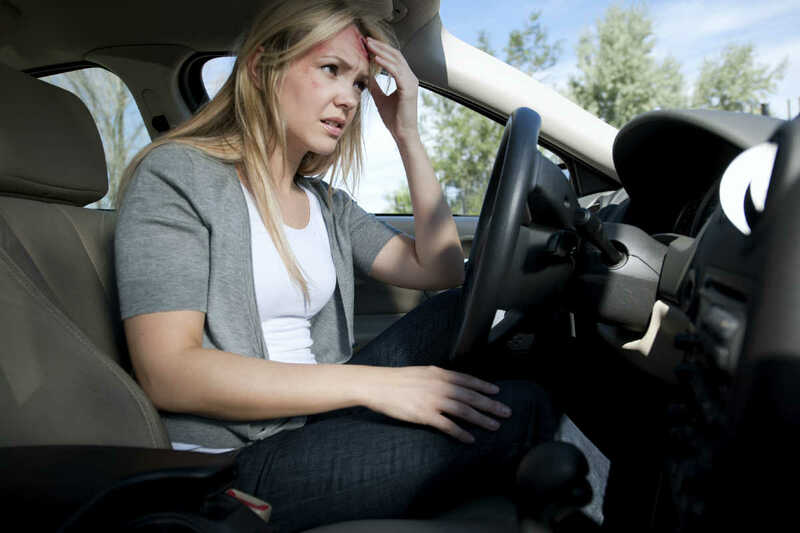 These two factors make car accidents with pre-existing conditions very complicated. Just because a case is complicated doesn’t mean you shouldn’t pursue it. Additionally, your health being suboptimal before an accident does not mean you are not entitled to compensation for additional damage you sustained. You deserve to get all of the support you need, so don’t be afraid to go get it. The rule that you have in your favor is called the eggshell skull rule. It has a funny name, but its consequences are critical in these types of cases. Essentially, it states that even if one driver is especially prone to injury due to a pre-existing condition, they are still entitled to full benefits. The legal system realizes how tough of a situation this is and has created a precedent to defend people with these conditions. Though no car accident is simple, ones that involve pre-existing conditions are especially complex. If you are ever a part of one of these accidents, you need to talk to an experienced St. Louis car accident lawyer. They will guide you through your case and ensure you do everything you can to get a favorable compensation package.